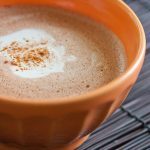 Tips to help you get through the season. 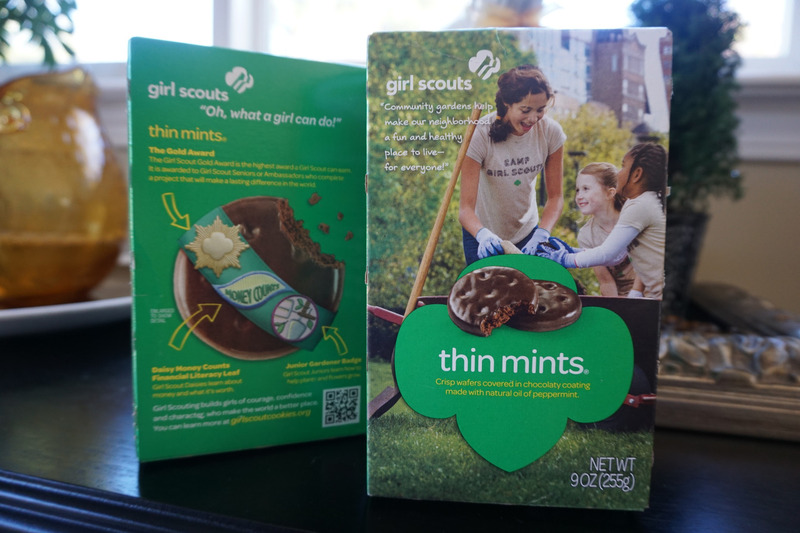 ‘tis the season, that is for Girl Scout cookies and that is not a good thing for those looking to manage their weight or maintain an existing diet regimen; but there is hope. Below are some tips to help you avoid the urge to indulge in these diet-busting cookies. No one can blame the Girl Scouts, their sweet smiles, and perfectly pressed uniforms, for an amazing campaign that likely generates most of the organizations revenue each year. But if you’re like many, these cookies are not on your diet plan. 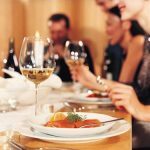 Depending on where you live, it’s hard not to see families sitting behind rows of boxes, pulling on your diet heartstrings and smiling all the while, everywhere you go. If you know you will be tempted to purchase a box of cookies, be sure to have a polite response ready when asked to buy some. “Thank you, I already have some,” “my spouse bought some earlier today,” “not today, thank you.” Recite your response several times before crossing their table to be sure that you’re ready to respond. If you see them at your local store, enter the store through the door that their table is not set up at. If they have secured a location at both doors, decide on whether you can resist purchasing a box, and decide if, for the day, it’s better to shop elsewhere. 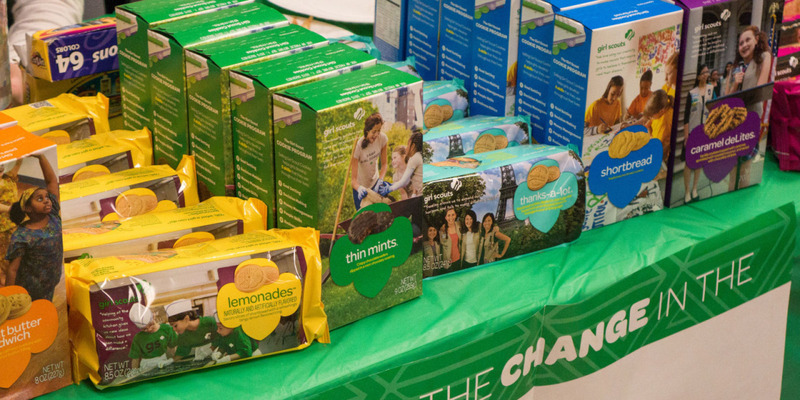 If you wish to support the Girl Scouts that are at a location, feel free to donate to them without feeling the need to take a box of cookies with you. For 2016, cookies are five dollars a box. Therefore; before you approach the store, be sure that you have five dollars in hand so you don’t have to linger at the table for change. Have a small line ready such as, ”thank you, girls, for being out here, I want to support you, here’re five dollars for a box, please give the box to a friend, family, or charity,” and then continue on. If you found that the urge was too great and you find yourself leaving with a box of cookies on your front seat or grocery bag all hope is not lost. There are many places that this box can find a happy home. 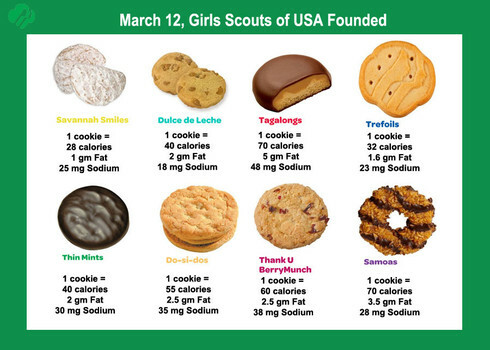 There are many local organizations that collect Girl Scout cookies and send them to our troops. Other options include providing them to shelters or even a person asking for food at a nearby stop sign on the way home. 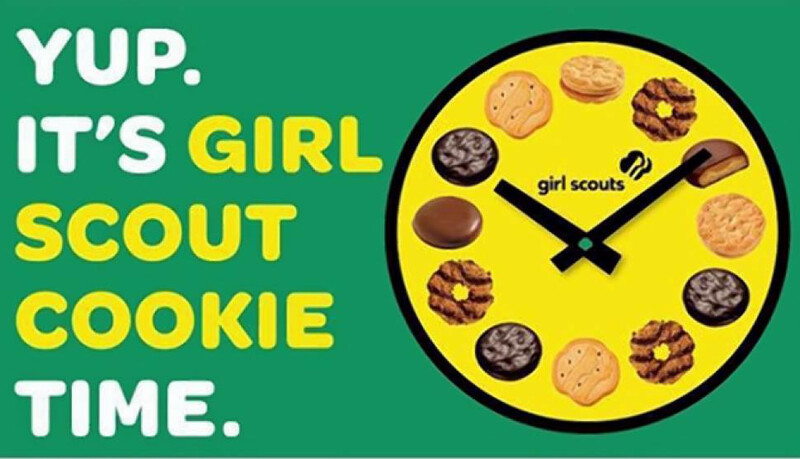 With anything food related, be sensitive to others by not gifting boxes of Girl Scout cookies unless you know it’s something that is in their diet. Giving a box of cookies to someone who is a few days into their new diet regimen could destroy their hope of success. Also, don’t assume that just because someone is fit, that their fitness is not attributed to a very tight diet and this box of cookies could be the cause of them losing their gains.